The first and most important step in buying a home is getting prequalified for a home loan. There are still many options for buyers, including FHA loans, VA loans, Conventional, Non-conforming loans, Jumbo loans and more! There are still some great zero-down programs available as well, and in many cases you do not need to be a first-time buyer to qualify. When making your loan application, you can expect to provide the following information: gross monthly income and total monthly payments (car payments, minimum monthly payments on credit cards, child support payments and all payments you have to make every month). 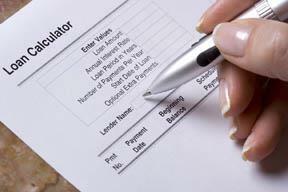 This information is used to calculate your total debt-to-income ratio. In order to move forward, a lender will need your authorization to pull your credit report. A higher FICO score will help you get the best interest rates available. Be sure to request a "Good Faith Estimate" which itemizes rates and fees for your loan. Lastly, have a lender prepare a letter of prequalification, stating that your initial financial and credit information has been reviewed. Our online calculators can help you estimate loan amounts, mortgage qualification, and affordability. But this is no substitute for being pre-qualified by a lender. Also, lending guidelines, rates and available programs can change daily so it is critical that you have access to the latest information when it comes to financing. If you don't currently have a lender, or if you wish to get a second quote for a loan to ensure you're getting the best possible loan package, feel free to contact us and we will put you in touch with a trusted Spokane mortgage lender. Just give us a call or, fill out the form below.